A New Port Richey woman was assisting a motorcyclist that was injured in a crash when she was struck and killed by an SUV in Holiday, according to troopers. The Florida Highway Patrol believes that the 66-year-old woman was struck by a vehicle while trying to cross southbound U.S. 19 just south of Alternate 19 Sunday night just after 9 p.m. Troopers said there was a chain of incidents that lead to the woman’s death that started earlier in the evening, when an impaired driver drove north in the southbound lanes of U.S. 19. Investigators said the drunk driver hit three cars. A passenger in one of the vehicles involved in that crash was taken to the hospital. 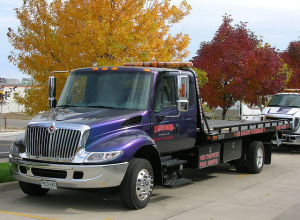 As a result, Ward’s Towing Company was called to the scene to assist. The deceased woman and her husband are the owners of the towing company, according to reports. Troopers said that during the time that the couple was there, a motorcycle in the northbound lanes of U.S. 19 was thrown onto the roadway after slamming his brakes. The deceased was rushing to help the motorcyclist when she was hit by a Toyota SUV heading southbound. The drunk driver was arrested and taken to the Pasco County Jail on DUI charges. An auto accident between a motor vehicle and a person on foot is most likely to result in serious harm to the pedestrian. The National Highway Traffic Safety Administration reports that more than 4,000 pedestrians are killed in U.S. traffic accidents every year, accounting for nearly 11 percent of all motor vehicle fatalities. When pedestrian accidents are caused by another driver’s recklessness or negligence, the injured pedestrian or the family of a deceased pedestrian has a right to seek financial compensation for medical bills, lost wages, funeral costs, pain and suffering and other losses. In Holiday, New Port Richey and throughout Pasco County, our Pasco County Auto Accident Injury Lawyers assist individuals and families of those who have been hit by a car and injured or killed. Contact us today online or call 727-847-2299 for a free initial consultation about your case.